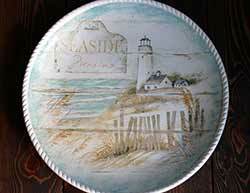 Beach, Tropical, & Nautical themed dishes, at The Weed Patch. We carry dinnerware by Certified International, Park Designs, Tag, and lots more! Shells, sandy beaches, mermaids, octopus, anchors, boats, flamingos, sea birds, etc. 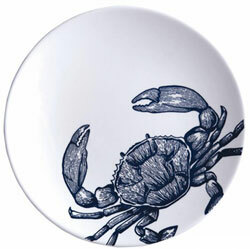 Crab Salad Plate, by Split P. The Marina Collection features a nautical look of white and red, with various nautical motifs. 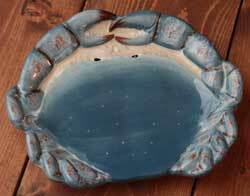 This is for the coordinating ceramic pottery Salad Plate, in the CRAB motif. Measures 8 inches. Dishwasher/Microwave safe (for reheating). Matching items also available. Split P is a division of Park Designs. Nautical Fish Plate, by DII. 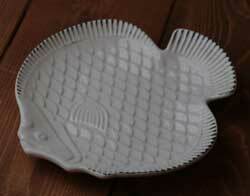 Fish shaped plate with embossed features and antiquing. This is for the Light Blue fish plate. Stoneware, microwave and dishwasher safe. Measures approx 8 x 8 inches. Nautical Fish Plate, by DII. 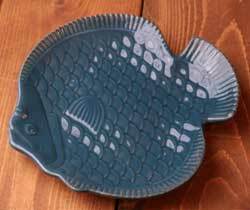 Fish shaped plate with embossed features and antiquing. This is for the NAVY BLUE fish plate. Stoneware, microwave and dishwasher safe. Measures approx 8 x 8 inches. Nautical Fish Plate, by DII. 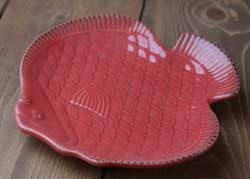 Fish shaped plate with embossed features and antiquing. This is for the Red fish plate. 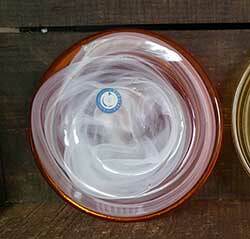 Stoneware, microwave and dishwasher safe. Measures approx 8 x 8 inches. Nautical Fish Plate, by DII. 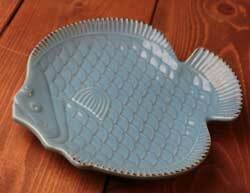 Fish shaped plate with embossed features and antiquing. This is for the White fish plate. Stoneware, microwave and dishwasher safe. Measures approx 8 x 8 inches. 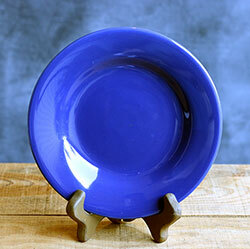 Sonoma Dark Blue Appetizer Plate, by Tag Ltd. 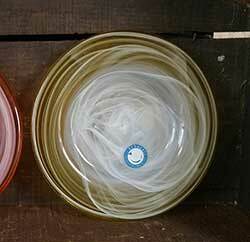 Measures 6.5 inches in diameter. Microwave / dishwasher safe. 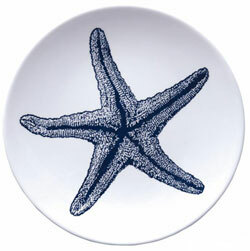 Starfish Salad Plate, by Split P. The Marina Collection features a nautical look of white and red, with various nautical motifs. 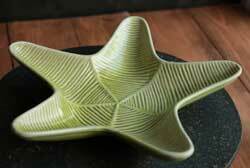 This is for the coordinating ceramic pottery Salad Plate, in the STARFISH motif. Measures 8 inches. Dishwasher/Microwave safe (for reheating). 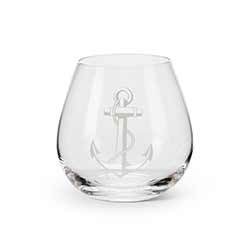 Matching items also available. Split P is a division of Park Designs.